A healthy diet and physical activity are two essential aspects of a cancer treatment plan. When we think of cancer treatments, our minds immediately resort to surgery, chemotherapy and radiation — all very important modes of traditional treatment. But we may forget or disregard the smaller, lifestyle modifications that could improve our prognosis and help us feel better. Improving your nutrition is a great step in the right direction for a brighter mesothelioma prognosis. But what does that really mean? Sure, we know eating healthy is important, but what is considered healthy? It’s hard to know which path works best for you because we are constantly bombarded with a multitude of diet plans and nutrition guides. It can be overwhelming and scary. Don’t worry; that’s normal. The Internet holds an abundance of information on diet. Every “expert” has something to say about what you should be eating. However, our friends and family members are usually the ones we turn to for advice. But here’s the problem: What works for them may not work for you. Diets are not one-size-fits-all. Learning about your body and the proper way to fuel it takes time — a commodity many of don’t have. But finding the right answers for your diet and nutrition goals can have major life improvements, from feeling and looking better to a better overall prognosis. The best method for determining an ideal nutrition plan for you is to speak with a dietitian. Many hospitals and cancer centers have dietitians available. It’s really important to properly and sufficiently fuel your body as it works to battle mesothelioma. A subspecialty of unique importance to cancer patients is the oncology dietitian. An oncology dietitian helps you learn how to fuel your body to fight off cancer cells, how to use foods to minimize treatment side effects, and how to use diet and nutrition to improve your response to traditional treatment options. Living with cancer presents a specific set of issues when it comes to diet and exercise. Understanding how to overcome these obstacles is not easy. Nutrition is important no matter what, but when someone is diagnosed with cancer, it becomes vital to preserve muscle and weight. Many patients lose essential muscle and tissue after diagnosis. This weight loss can negatively impact their prognosis. Some dietary changes can help you feel better throughout the treatment process. 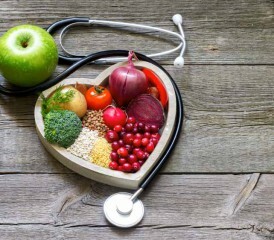 By creating and maintaining a balanced diet, you can feel healthier, maintain your weight and energy, prevent infection, minimize side effects and recover more quickly after treatments and procedures. Some cancer patients experience difficulty swallowing, also known as dysphagia. It’s a common symptom that often results in malnutrition and significant weight loss in patients pursuing chemotherapy and radiation as treatment options. An excessive amount of weight loss weakens the body’s immune system, ultimately increasing the risk of sickness and infection, which can be deadly after a mesothelioma diagnosis. Oncology dietitians are aware of these potential problems before they arise in a cancer patient’s life. By preparing for these issues, patients can minimize the overall damage by finding new ways to maintain proper nutrition with the right diet for you. No matter what your nutrition goals are; it doesn’t come easy. Whether you are looking to lose weight, gain weight or maintain your current weight, it will not happen overnight. The pursuit to a healthy diet is one with many bumps and a lot of lessons to learn. There will be times you will feel defeated and others you’ll feel victorious. Above all, don’t give up, ask questions and don’t go it alone.